Malaysian-New Zealand martial arts star Ev “E.T” Ting has his mind set on a first-round finish of Shinya Aoki (41-8) come ONE: KINGDOM OF HEROES on Saturday. The 29-year-old (16-4) ONE Championship lightweight martial artist said the Japan legend will find it tough to handle his variety of striking and will grant him his ninth career defeat at Bangkok’s Impact Arena. “He’s got to get past my striking, hug me and take me down. Without a doubt, Aoki will try and take me down, but there’s a few things he must get past if he wants to bring me to the ground. “He is coming fresh off two first round finishes and people are saying he’s getting old, but this guy is no joke, you cannot take him lightly and must train for the best version possible. “I know he will touch gloves and straight go for a takedown attempt, but I’m going to attack, strike and retire the legend in the first round,” a confident Ting said. Ting’s confidence seems sky-high and a closer look at his opponents eight defeats in his 15-year mixed martial arts career shows that five of his eight losses came inside the first five minutes of an exchange. In November last year, the Evolve MMA fighter nicknamed “Tobikan Judan” was at the receiving end of Ben Askren’s fists while a year earlier his reign as ONE Championship’s lightweight champion came to an end in similar fashion against the Philippines’ Eduard Folayang. Prior to that, his last first round defeat came against Eddie Alvarez inside 2:14 of round one in 2012. Despite suggesting he could put an end to the battle inside the first round, Ting said his opponents’ credentials speaks for itself, in a very humble tone. “He’s a legend who’s been in the game for the past fifteen years. His credential speaks for itself with nearly 30 of his 40 wins coming by way of submission. “Everyone calls him the submission wizard for a reason, but today I feel like I’m a much more complete athlete and I feel like I can take the fight anywhere I want it to go. “I can stand, surprise him or wrestle him … to put it in short, I think it’s my time and these guys are fading away,” said the 29-year-old striking specialist. The Bali MMA and Auckland MMA martial artist said his last two duels against Koji Ando and Ariel Sexton provided him a better understanding of dealing with someone who is a good ground threat who can mix up different forms of martial arts brilliantly. “In Ariel Sexton and Koji Ando I fought two fighters who can mix their style so much better and I respect that a lot. A win should set him up for his second shot at the ONE Championship lightweight title. Earlier today ONE Championship Chairman and CEO Chatri Sityodtong said that Amir Khan will battle Eduard Folayang on November 23 in Manila for the ONE Lightweight World title. 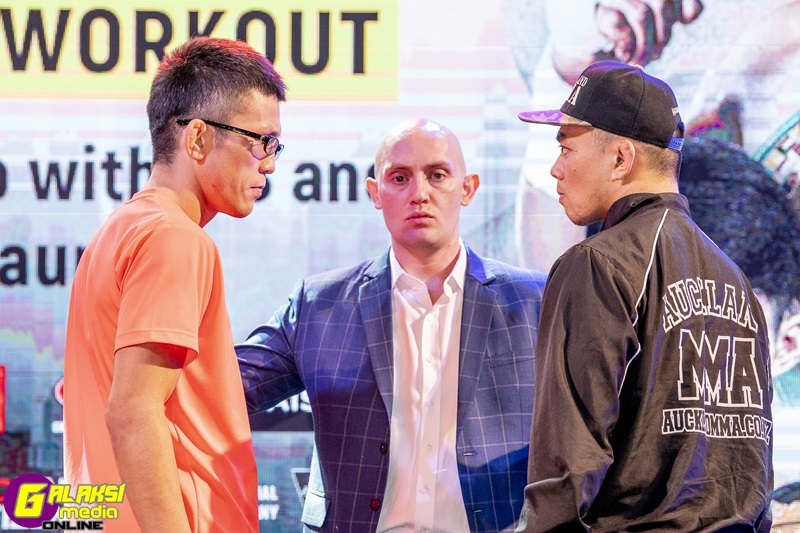 The winner of the Aoki-Ting battle will go toe-to-toe with the champion, whoever that may be, in Tokyo next year, when ONE Championship makes their debut in the country.